Vanity Fair has published a deep dive into how Harvey Weinstein spent his time as reporters from the New York Times and the New Yorker drew closer to publishing their respective exposes on him. It reads like the climax of a Scorsese movie. But as Weinstein saw that his time and his options were running out, he began to scramble. And as revealed here for the first time, he decided to take matters into his own hands. Weinstein and a coterie of loyalists—according to a dozen current and former T.W.C. 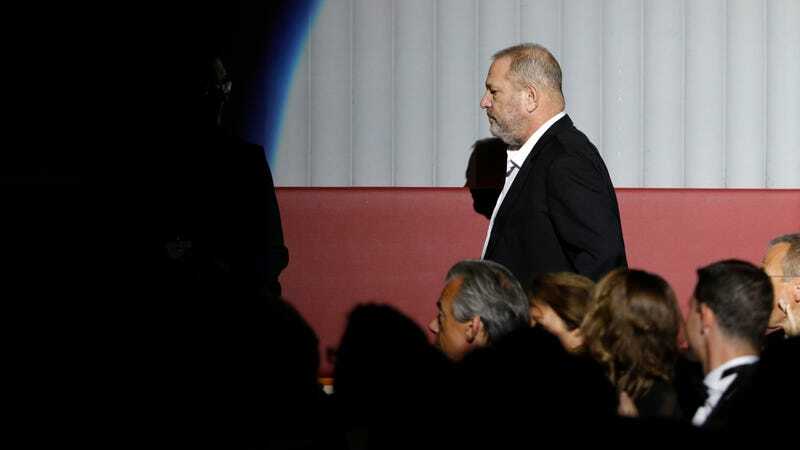 employees and Weinstein advisers, as well as the initial findings of an internal company investigation—would allegedly spend his last days at the company searching for and trying to delete documents; absconding with others; surveilling ex-employees’ online communications; and seeking to discover who, in the end, had orchestrated his downfall. On October 3, Weinstein and a handful of T.W.C. staffers stood around a computer. An I.T. specialist was summoned and a sensitive document was called up on the screen. Then Weinstein, according to sources present at the time, turned to an assistant seated before him and said, “This is where you get out of the chair.” Another member of the group then stepped in and—at Weinstein’s direction—tried to delete a document called “HW friends” from both the local workstation and the corporate servers. Vanity Fair got their hands on a recovered copy, which they say turned out to be “a list of 63 women broken down by location: New York, Los Angeles, the United Kingdom, and Cannes, France.” While Weinstein’s office apparently kept numerous lists of names—potential premiere invitees, for instance—and the piece is very careful to note that “Vanity Fair is not aware of any evidence to suggest that Weinstein behaved improperly toward those named on the list,” an investigator told Vanity Fair that, “The maintenance of a list of women’s names per city—the optics of that were not good.” There’s an understatement. Mr. Weinstein has dedicated his life to building The Weinstein Company and before that Miramax, and he continues to want only what is in the best interests of The Weinstein Company moving forward. Because of ongoing litigation, however, Mr. Weinstein is prevented from responding to the many provably false assertions made in this article, but looks forward to doing so at the appropriate time and in the appropriate forum.